Fran has been involved in the travel industry for over 35 years. She became a Certified Travel Consultant in 1982 a Certified Travel Manager in 1991, a Certified Meetings Professional in 1997 and a Certified Destination Wedding Specialist in 2014. Fran has a wealth of knowledge and experience in both the travel and meetings industries. Fran established VIP Travel in 1991 as a full-service travel agency providing Corporate, Leisure, Group and Incentive travel services. Summit Meeting Management, a Division of VIP Travel, was established in 1998 to handle the company’s group and meetings business. 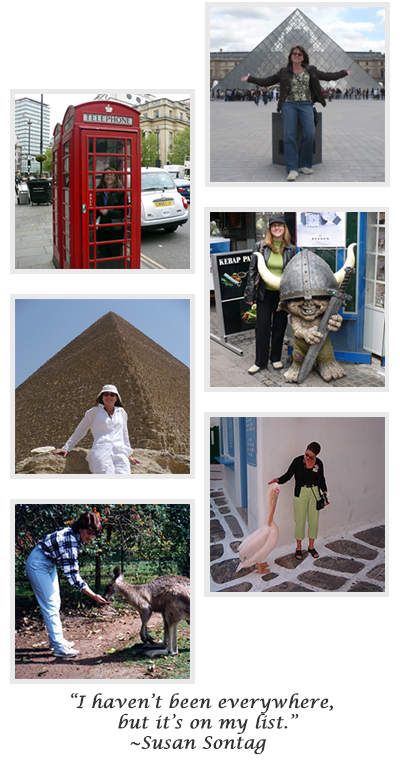 Fran has travelled extensively throughout 5 continents and over 50 countries. She is also a veteran cruiser having sailed on more than 20 cruises on numerous cruise lines. “My travels have taken me to so many wonderful and different destinations, from walking on the Great Wall of China to riding a camel in the Egyptian Desert.” Fran thrives on sharing her first-hand experience with her clients.